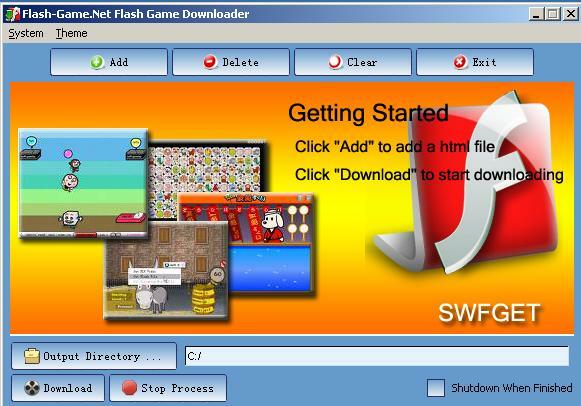 Flash-game.net Flash Game Downloader is a desktop application that catches web links on flash-game.net including flash games from your clipboard or you enter and batch download them. Start it up, copy the web URL and click download. It can automatically detects the swf files.